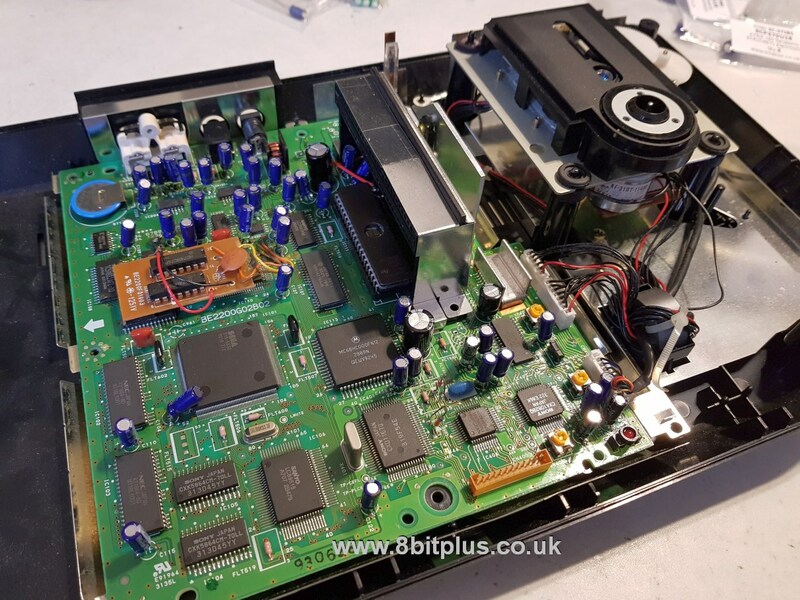 Programming and installation of the “seb” Switchless region and video modification for a Sega Mega Drive 2, Mega CD 2 and 32X. All operated by the reset button on the Mega Drive. This was a fun project I did for a customer. 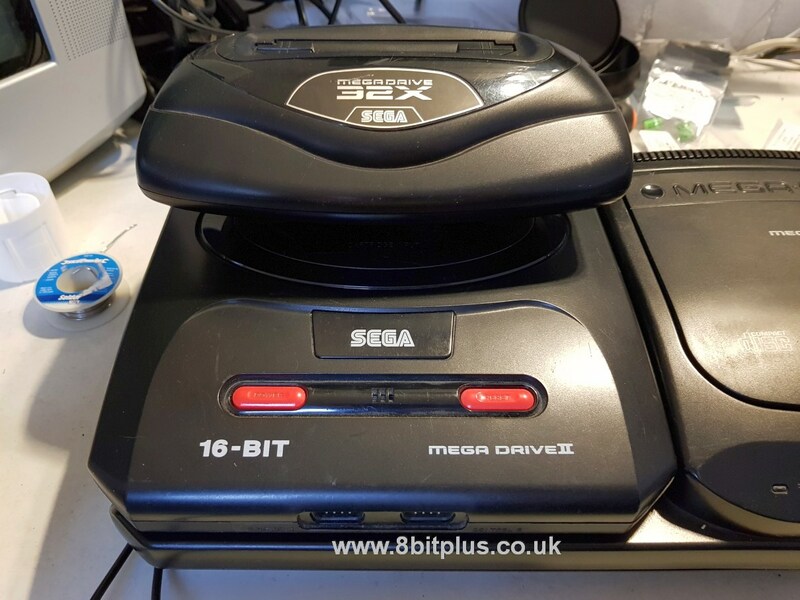 He contacted me with a request of modifying a complete Mega Drive 2, Mega CD 2 and 32X setup to allow region selection. He Also wanted the ability to switch the Mega CD BIOS images, this is useful to play original game cartridges and CD’s from other regions. I’ve always liked the Mega CD and still think the MCD1 is very cool looking with its tray loading design. The actual switchless term means that the console doesn’t need any extra external switches installing, therefore no cutting of the case. 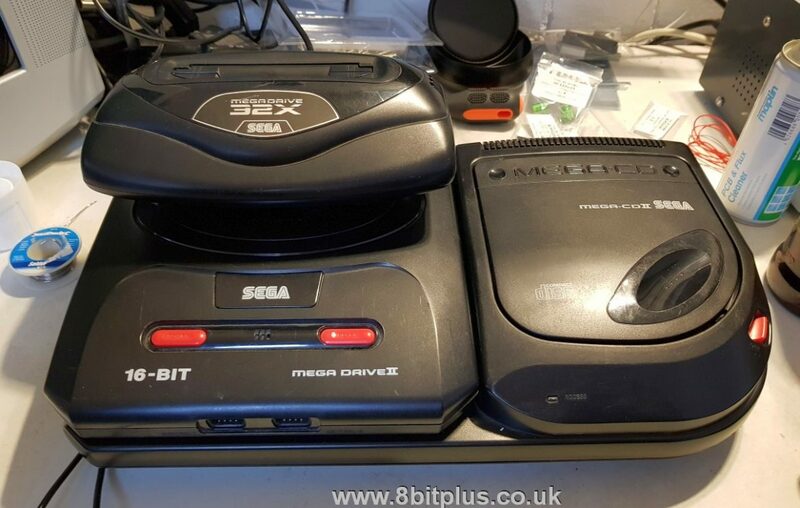 You would normally add 2 switches to a Mega Drive. One for video frequency switching, and one for region selection. 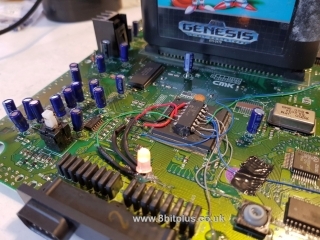 With this mod, everything can be done with the console’s original reset button. So we have no need for drilling the case and because of this console will remain looking original. To accomplish this, a talented developer know as Seb from NKZL.com wrote a code that can be flashed to a PIC16f630 chip. Once programmed (i use the universal Mini-pro USB) then chip needs careful installation. I’m not going to show a step-by-step because its already been covered in fine detail at mmmonkey and wolfsoft.de. Here is the final installation in the MD2. The Mega CD add-on uses a BIOS to determine what region games can be played, and therefore what region Mega Drive system will be compatible. There are 3 Bios images, one for each main region. EUR, USA and JP. Each will boot the corresponding games only for each region. 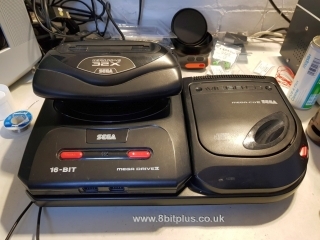 If you combine a PAL Mega Drive and and NTSC Sega CD, then it wont work and visa versa. The solution is to either use a Universal Region Free BIOS, or combine all three original bios images and switch between them. We decided to do the later as it leads to better compatibility. 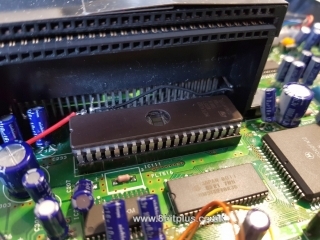 The BIOS images can be selected from the EPROM by the setting of the switchless controller chip. If the MD is set to PAL, the PAL CD bios will be used and so on. The BIOS selection is done over a pair of ground pins between the Mega Drive and Mega CD expansion slot so it does not interfere with other signals. 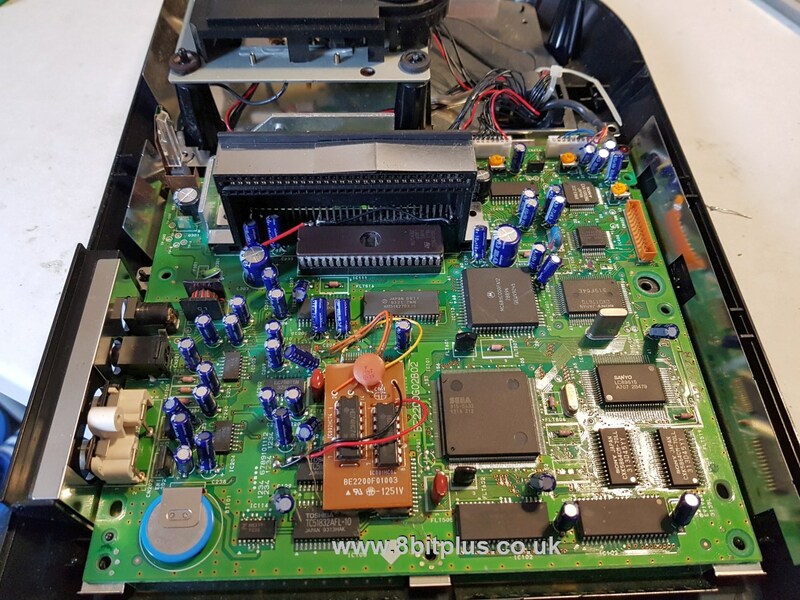 To make the “Triple” BIOS, I took the original Sega version 2 BIOS images (suitable for the MCD2) and bytes-swapped them. This reverses the code so that it reads correctly when burned. I used a program called SwapEdian for this. Then I combined the 3 images into one file with the copy /b command. 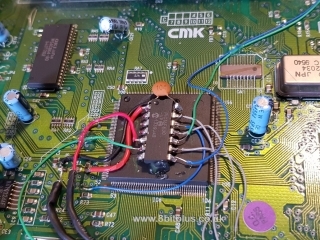 The final combined file was then flashed to a blank 27c4002 EPROM chip. 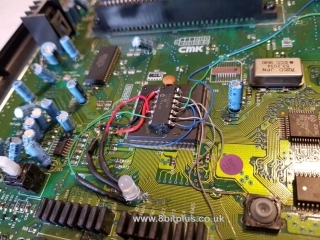 Combinations of pin 38 and 39 select the BIOS images to load. The original BIOS was removed and a socket installed for the EPROM. 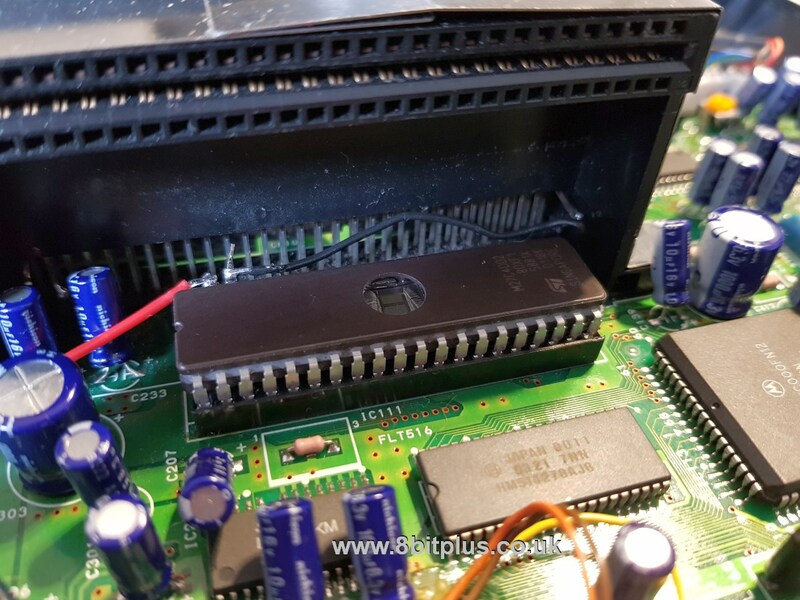 Removal of the original BIOS chip can be tricky because its located so close to the ext connector. Now I reassembled everything back to together and tested some games. If you have a Mega Drive, Saturn or Super Nintendo and would like a switchless mod installing, please get in touch here.